We have all become used to email, with the average business user sending and receiving over 200 emails everyday (according to stats from Radicati’s email statistics report in 2015) While we are busy checking all these emails on our phones and tablets as well as our traditional computers, we often forget that our email storage can fill up. If you completely fill your mailboxes you can miss important emails, of course not the best business practice. If you want truly infinite email storage space then you’ll need an infinite budget for your email hosting. That’s unlikely to be the best use of any businesses budget! What’s more with many systems once you go over capacity you’ll have to pay your provider to increase space or maybe to help you remove emails if you can’t do it yourself. So here are some tips to keep your email flowing and avoid wasting time and money on an ineffective email set up. Archive emails offline that you don’t need everyday. There is an important word in that tip, offline! Quite often people file their emails into folders and expect they will no longer be taking up space on the server. Unfortunately unless you create offline folders in your email software (outlook/thunderbird/Mac mail) they’ll still be there. You can check if any of your folders are stored offline in a couple of ways. if you set up your folders on your computer, check and see if they are available on your phone or tablet. If they are and have identical contents, they are stored on the email server and will be using up your space. You can also log in to your webmail, if you see all your archive folders there then they are on the server and taking up space. How often do you really need a newsletter from 2014 on your phone? If you’ve got emails you want to keep for reference but don’t need them day to day then stash them offline. You can always move them to an online folder if you need them with you. In most email clients you can switch on an indicator that explains how much space you’ve used or get the properties of a mailbox by right clicking on it. That can help you manage the space before it gets close to running out. If your struggling to create offline mailboxes you can search your mail software and offline mailboxes and you’ll find instructions. If you’re finding you exchange lots of emails with your own team or even with a particular client then it’s a great idea to consider a tool like Slack. Even better, it’s free to start using it. Check out slack.com and see what you think. We use slack here and it saves us literally hundreds of emails a day. It helps us keep our team on track and up to date with everything they need wherever we are. Crucially too it means our inboxes are less cluttered, making it faster and easier to deal with important emails. Save big attachments to a cloud storage tool. Some of our clients deal with highly technical drawings and often these are emailed to them direct. If you receive pdfs and images to your email inbox it’s a good idea to save them into the cloud when you receive them, then delete them from the emails. We save all attachments to Dropbox, that way we can access them anywhere without them taking up valuable inbox space. Dropbox has another neat trick too. Instead of attaching big files to emails you send yourself, you can keep the files in the cloud and just email a simple link. Emails you send get stored in your emails sent box which sits on your email server too. So if you’ve not looked after your sent box, or you’ve sent lots of files, that could cause your email to hit its stops too. Again you can start using dropbox to store email attachments for free too. Check out dropbox.com you only need to start paying if you start to need more space. We use the paid version because we store lots of documents in Dropbox, that way the are accessible anywhere and easily shareable. Many people don’t realise that the emails they delete… Sit on the server and take up space! Check on your system now, you’ll almost certainly see a mailbox called ‘Deleted’. So how do you stop the emails you delete filling up your mailbox anyway? purge your deleted mail. You can do this in a couple of ways. The easiest is to access your webmail and when you see the deleted mailbox click it, you’ll almost certainly see an option to ‘bypass deleted’ or ‘purge’ deleted. The screen below is just one example. In many cases you just need to click on the ‘deleted’ mailbox and delete what is in it. Another option is to hard delete emails you don’t want anymore. Make sure you really don’t want them and then on a computer highlight them, hold down the Shift key and press delete. 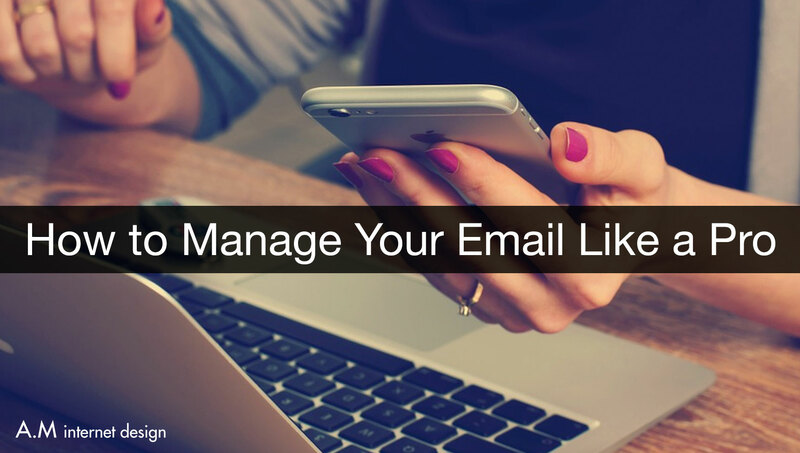 It’s a good idea to do this just one email at a time to avoid losing anything by mistake. It’s your responsibility to keep your mailboxes working, so tips like these are critical to keeping the email that you depend on running smoothly.